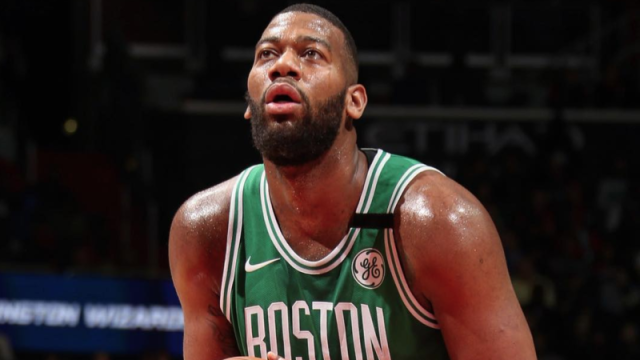 Celtics Greg Monroe with triple-double in win over Bulls - Is he a keeper? Celtics center Greg Monroe came through big-time in last night's 111-104 win over the Chicago Bulls. He became the first Boston center to notch a triple-double since Robert Parish accomplished the feat on March 29, 1987. He scored 19 points in only 27 minutes, hitting 8-of-10 from the field and 3-of-3 from the charity stripe. Moose was the high man in rebounds for the game, hauling down 11. Feeding the Moose down low worked well for points, and Greg responded by feeding his teammates to the tune of 10 assists, also a game high. I hope we can keep Monroe because that guy is terrific in the paint, exactly what we need. In that last game in Toronto he was working hard in the paint and drew contact after contact, yet the team decided to shoot a million threes without hitting one. Give the ball to the big guy and let him go to work down low if the threes are not finding the net. Yes, I know Moose doesn't take three-pointers and is not a top-notch defender, but he is virtually unstoppable in the low post - and he did have two steals and a block against the Bulls. He is only 27 years old. His last contract (with the Bucks) was for 50-million over three years. He chose Boston as a free agent, and things seem to be working for him and the team. First triple-double by a Celtics center since Robert Parish in 1987? I'm impressed. He may be a keeper.